Screenwriters:Paul Haggis, William Broyles Jr. It is the most memorable photograph of World War II, among the greatest pictures ever taken. The winner of the Pulitzer Prize for photography and one of the most-reproduced images in the history of photography, the picture has inspired postage stamps, posters, the covers of countless magazines and newspapers, and even the Marine Corps War Memorial in Arlington, Virginia. "Raising the Flag on Iwo Jima," a picture taken by Associated Press photographer Joe Rosenthal on February 23, 1945 depicts five Marines and one Navy Corpsman raising the U.S. flag on Mount Suribachi. The image served as a counterpoint for one of the most vicious battles of the war: the fight to take Iwo Jima, a desolate island of black sand barely eight square miles that would prove a tipping point in the Pacific campaign. Lasting more than a month, the fight was a bloody, drawn-out conflict that might have turned the American public against the war entirely, had it not been for the photo, which was taken and published five days into the battle. The photograph made heroes of the men in the picture as the three surviving flag-raisers were returned to the U.S. and made into props in the government's Seventh War Bond Tour. Uncomfortable with their new celebrity, the flag-raisers considered the real heroes to be the men who died on Iwo Jima; still, the American public held them up as the best America had to offer, the supermen who conquered the Japanese... ...and then, just as quickly as it had arrived, the glory faded. For two of the surviving flag-raisers, life became a series of compromises and disappointments; for the third, happiness came only by shutting off his war experiences and rarely speaking of them ever again. "Flags of Our Fathers" is a human drama of friendship and love, sacrifice and manipulation, set against the violent conflict of the battle of Iwo Jima. 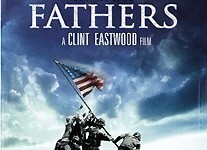 Two-time Academy Award®-winning director Clint Eastwood focuses equally on the war and home, crosscutting between the viciousness of the battle and the manufactured propaganda campaign and careful manipulation of the image that followed – issues that remain prevalent today. As "Flags of Our Fathers" shows how the photograph became the very beginning of celebrity worship, the film questions our need to create and celebrate heroes, sometimes at a cost. 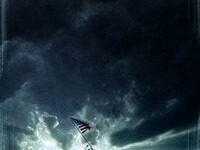 DreamWorks Pictures and Warner Bros. Pictures present a Malpaso/Amblin Entertainment production, "Flags of Our Fathers." Directed by Clint Eastwood, the screenplay is by William Broyles, Jr. and Paul Haggis, based on the book by James Bradley with Ron Powers. Clint Eastwood, Steven Spielberg, and Robert Lorenz produce the film.